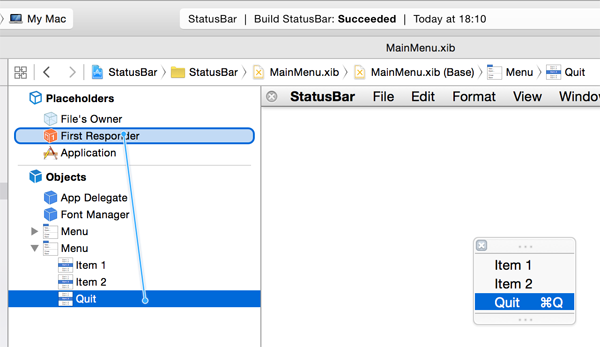 How to create a status bar app using Xcode and Swift on Mac OSX. 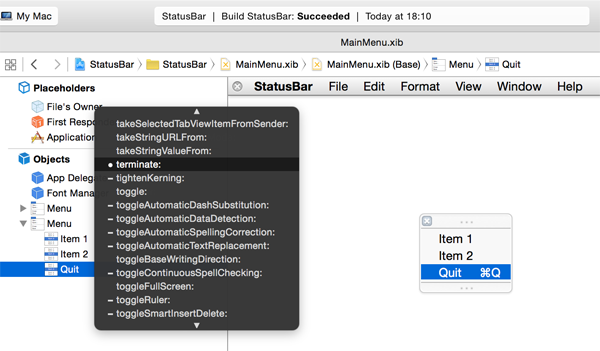 The following example has been tested using Xcode 6.1.1 on Mac OS X 10.10.1 . But it may likely works fine on other versions as well. Your comments or ideas on how to simplify this further are more than welcome! 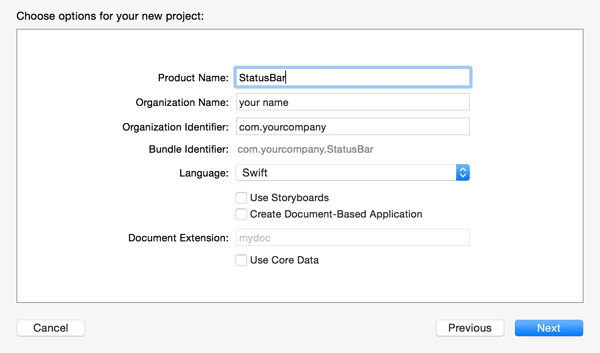 See also the Objective-C version. 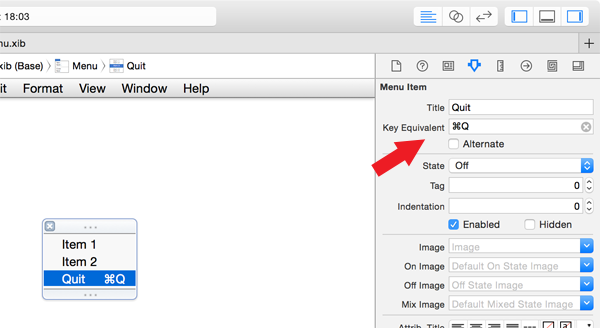 Please do not remove the existing default "Menu" object from the application, otherwise keyboard shortcuts as ⌘C (copy) and ⌘V (paste) won't work anymore throughout the application! @IBOutlet weak var statusBarMenu: NSMenu! 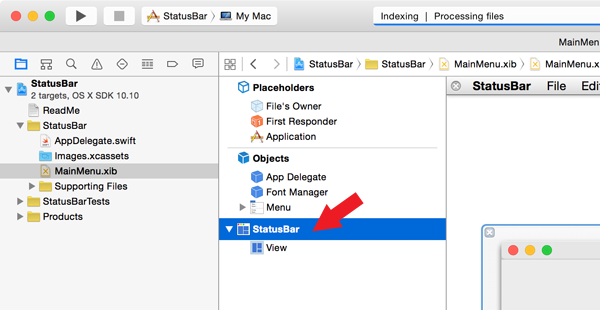 Use an icon, in place of text, to be shown on the status ba.